• Chochma/Wisdom is reflected in our principle of Inner Work. This principle brings Jewish wisdom through mindfulness, compassion, study, and understanding. We engage in this work through our relationship in community, our personal spiritual practices, and the teachings we offer as part of our community festivals and family education programs. • Tzedek/Social Justice is reflected in our Service and Social Justice pillars. We share food grown on our community farm with food banks, schools and visitors. We partner with organizations that offer social justice opportunities and engagement at our festivals. We embrace gemilut chasidim (loving kindness) in work, hospitality, and economy which provides an ethic of social justice. • Kedusha/Holiness is reflected in our pillars of Regenerative Resiliency, Commitment, and Ein Soph. We create a container of holiness by transforming time and space with opening and closing circles at all of our festivals and programs. These opening and closing circles incorporate moments of silence, gratitude, group song and experiences that acknowledge the Holy One, the holiness within each of us, and the earth’s sacredness. Our pillar of Ein Soph is designed to emphasize the importance of living the teachings of Shabbat, pausing and kedusha, holiness. • Kehillah/Community resonates most strongly with Living Tree Alliance’s mission and is reflected in our pillars of Connection and Celebration. We are building vibrant community that creates meaningful relationships with regular interactions, and shared purpose. We are offering festivals based in the rhythms of the Jewish calendar and Jewish ancestral wisdom that allows connection with each other, the land and the seasons. Our proposed walking village invites residents to create business and non-profit programs that bind people together through communal celebrations, meals, and shared entrepreneurial endeavors. All of the four propositions are what leads to value in our initiative. Creating vital community is of foremost importance to us. Our community engages people in a variety of ways in multiple types of relationships. We are a collaboration of residents, farmers, apprentices, educators, program participants, investors, program supporters, and others. All of our community programs bring people together with kedusha – shared purpose, social justice, and are rooted in Jewish wisdom. Through our programming we seek to counteract the increasing individualism of American culture that threatens a thriving civic society. Having our programs connected to the land and growing of healthy food, allows Vermonters greater access to the celebration of seasonal Jewish festivals and its teachings. Our intergenerational focus creates Jewish community experiences. These experiences empower families to discover creative ways to connect to their ancestry and geological sense of place. By providing access to both of these important roots we create a home for families to discover a unique spirituality. This spirituality is connected to a heritage that they may yearn for but did not find in the synagogues of their youth or of today. Connecting to the earth and the seasons is vital to the success of our three-fold initiative. We are inspired by the agricultural roots of Judaism and find that many Jewish people are not aware of these teachings. Rooting our program in the seasonal cycles and linking them to the Jewish calendar helps to make our programs more meaningful and interesting to the local people of Vermont. 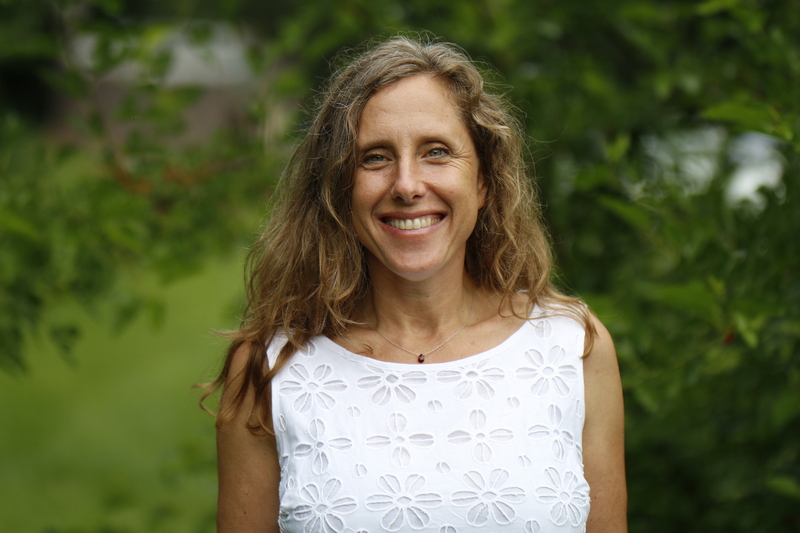 Kohenet Stacey-Sephirah Oshkello is the co-founder of Living Tree Alliance, a three-fold initiative that includes a residential co-housing community, organic working lands farm, and a seasonal, earth-based Jewish enrichment program. Stacey-Sephirah organizes festivals, family holiday events and educational programs that integrate the seasons with the Hebrew calendar and foster transformational experiences.